With summer on our doorstep, the time has finally come to relocate your heavy coats to the back of the closet and throw open the windows to welcome in that much anticipated warmer weather. It’s time to get outside and start soaking up the sun’s all important vitamin D while you fill your lungs with fresh air. It is truly a magical time of year. The start of summer also means an end to dinners of hearty stews and heavy casseroles, not only because we naturally start craving lighter meals but because the thought of turning on the oven and further heating the house sounds unwise. With this in mind, here are a few ways you can adjust your diet and daily routine in order to stay cool this summer. Step away from the red meat. Red meat like beef is higher in fat and calories than other types of meat, which means it will keep your body warm. 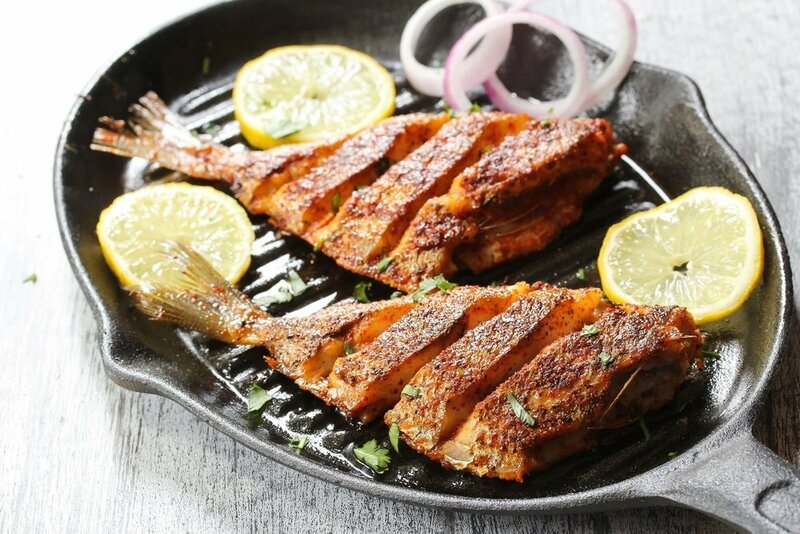 Protein rich seafood like Tilapia is a much better option on hot days, as fish is know to have a cooling effect on your system. Try cooking without gas—or any type of heat. A cutting board and some fresh ingredients is all you need to make tasty dishes like bruschetta, Tilapia ceviche, feta watermelon salad or any other number of no-cook dishes. Not only are these dishes tasty and nutritious, but they’ll keep you well away from the stove and oven. Stock up on frozen treats. There’s nothing more refreshing than savoring a tasty slushie or a delicious popsicle on a hot summery day. Rather than just eating those nutritionally lacking store bought treats though, make your own protein packed popsicles that will cool you down and fill you up at the same time. Load up on H20. All fruit and vegetables contain water, but some are more bountiful than others. 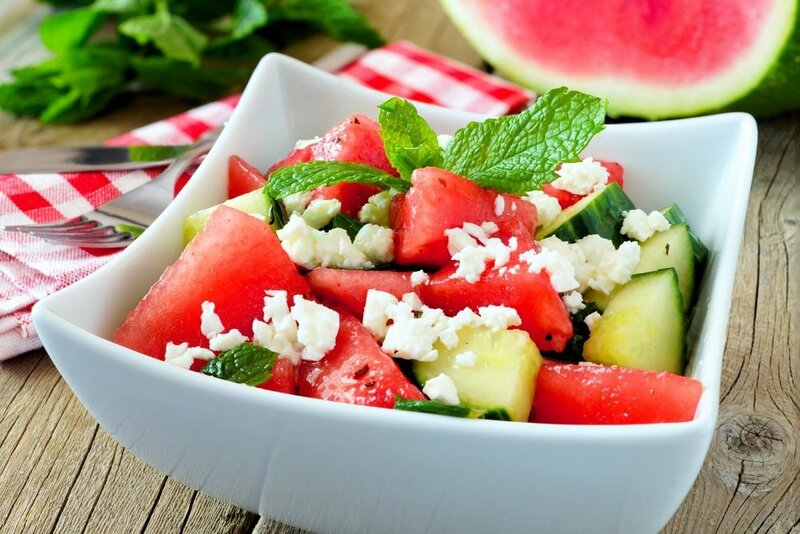 In the heat of summer, focus on upping your intake of water laden foods like zucchinis, radishes, watermelons and tomatoes to stay hydrated as you nosh. You know the expression ‘as cool as a cucumber’? Cucumbers are 96% water, so chomping on one of these refreshing vegetables will help keep you hydrated and, well, cool. Fire up the grill. Even if it’s a sunny day, the fresh air, chirping birds and bright blue sky are much more rewarding than overheating indoors. Firing up the grill is all you need to enjoy a wide variety of incredibly delicious fare. Throw some Tilapia fillets and some fresh vegetables on, and experience the intense and unique flavors of a meal cooked over an open flame in the great outdoors. Summer is an incredible time of year. It’s the season for camping, hiking, fishing and just being outside. However, it is also a time for sunburn and overheating, so it is well worth your while to take every precaution possible to keep your home and your body cool. Winter will be back before you know it, but with the help of some cool temperature meals and some handy life hacks, you can enjoy every moment of sunshine in the meantime. Learn more about the benefits of grilling in ‘3 Healthy Seafood Preps to Maximize Flavor’. Photo credits: Cameron Whitman / Shutterstock Inc., JeniFoto / Shutterstock Inc., vm2002 / Shutterstock Inc.